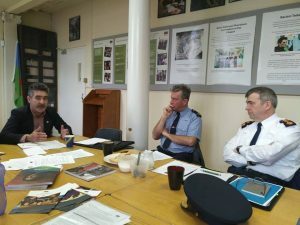 A meeting took place with Garda Commissioner Drew Harris at Pavee Point where Garda relations with Traveller and Roma were the main focus of discussion. 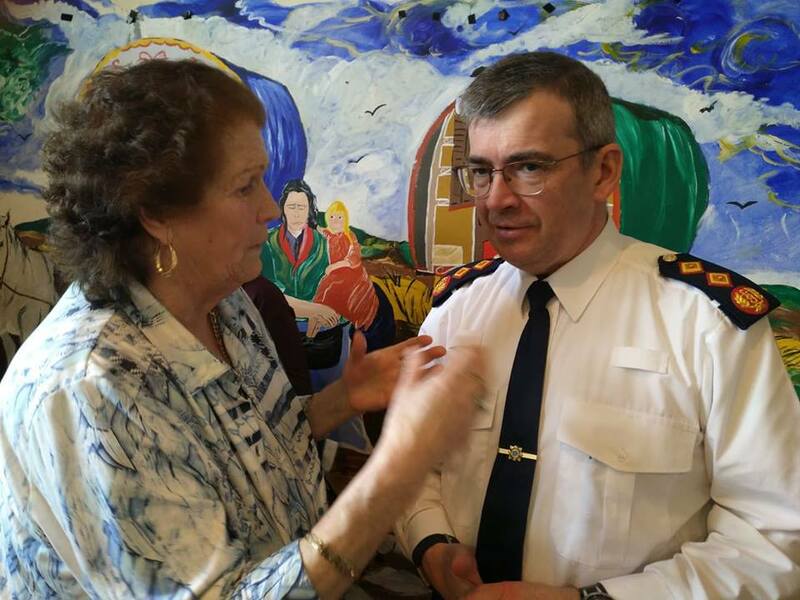 Garda Commissioner Drew Harris and Tessa Collins, Violence Against Women Programme. Commissioner Harris acknowledged the potential for institutional racism within a police force which he is familiar with through his work in relation to the McPherson Report 1999. (LtoR) Martin Collins, Pavee Point; Garda Dave McInerney, Garda Diversity and Garda Commissioner Drew Harris. 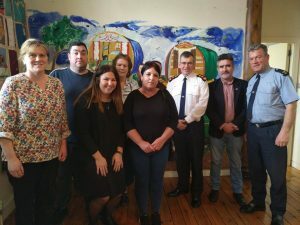 The poor relations between Gardaí and Travellers was also acknowledged as per a recent report by the Irish Council for Civil Liberties – A Human Rights Based Approach to Policing in Ireland. Martin Collins, Pavee Point Co Director, outlined the feeling among many Travellers that the Traveller community is over-policed and under-protected. 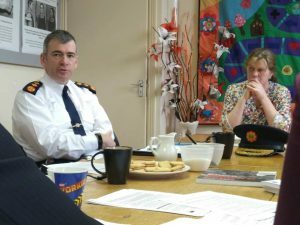 He also highlighted the importance of anti-racism and human rights training for Garda recruits and also among existing staff in An Garda Síochána. He also highlighted the need for a diverse recruitment policy. Commissioner Harris was responsive to these issues and Pavee Points look forward to developing a positive working relationship with An Garda Síochána. (LtoR)Tessa Collins, John Paul Collins, Bridget Winters, Missie Collins, Mary Brigid McCann, Garda Commissioner Drew Harris, Martin Collins and Garda Dave McInerney.